In the months leading up to my wedding, I lived with one of my dearest friends, Erin. We met and became instant friends in college. So, when she offered to let me live with her while Jason and I were preparing to move into our home, I jumped at the chance. Looking back on the time in our apartment - that incredibly special time leading up to my wedding day - there is no one that I would have rather spent those days with than Erin. One of the things I loved about living with Erin was her Mom's cooking that she would send back to our apartment with Erin on Sunday nights. There was one thing I would beg Erin to bring back with her every time she went home - Ma Kauffman's Snickerdoodles. These cookies are a small slice of heaven. They are crunchy on the outside and soft and chewy on the inside. They are - hands down - the best Snickerdoodles I have ever tasted. Erin's mom comes from a long line of Italians that can cook. And, when I say they can cook - let me tell you - they. can. cook. When I told Jack what these cookies were called today, he said, "like Lincoln." I laughed out loud - because indeed, we call Lincoln, our "Doodlebug". These cookies will forever remind me of Erin, my dear, dear friend. And now, of my tiniest boy. My Lincoln. Our lesson: We love our baby, Lincoln. We are so thankful to God that he is part of our family this Christmas. Cream sugar and butter. Beat in egg and vanilla. Combine flour, salt, baking soda, and cream of tartar together; add to butter mixture. In a small bowl, combine 2 tablespoons sugar and cinnamon. Shape dough into 1-inch balls. Roll in sugar/cinnamon. Place balls on greased cookie sheets two inches apart. Bake at 375 degrees for 8 to 10 minutes. Hooray! Can't wait to make them! I remember Erin!! Hooray for Erin and her mom's cookies. 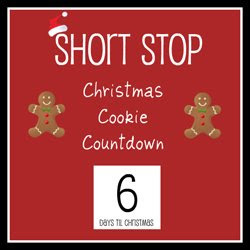 :-) Scott's two favorite Christmas cookies are snickerdoodles and gingersnaps, now I have two new recipes of those two favorites! Thanks!! 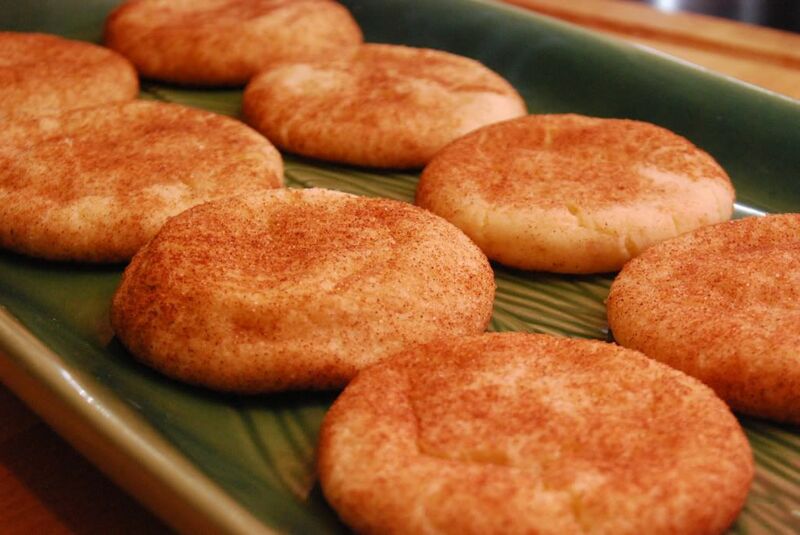 Snickerdoodles are one of the Myers family's traditions. It is the one cookie that you can guarantee that my grandma will have on hand when coming to visit. So yummy, they are! Yeah, I can attest, those were DELICIOUS! It's great to hear the stories behind some of these recipes too - we get more of a picture of who you were and are. oh and snickerdoodles are one of my favorite cookies. can't wait to try out this recipe.